Complex interior remodeling is something of a specialty for us. The creation of a space that provides both a classic decor and a functional environment is an art; to do it on the 22nd floor while minimizing negative impact on daily business requires a level of skill only we can provide. 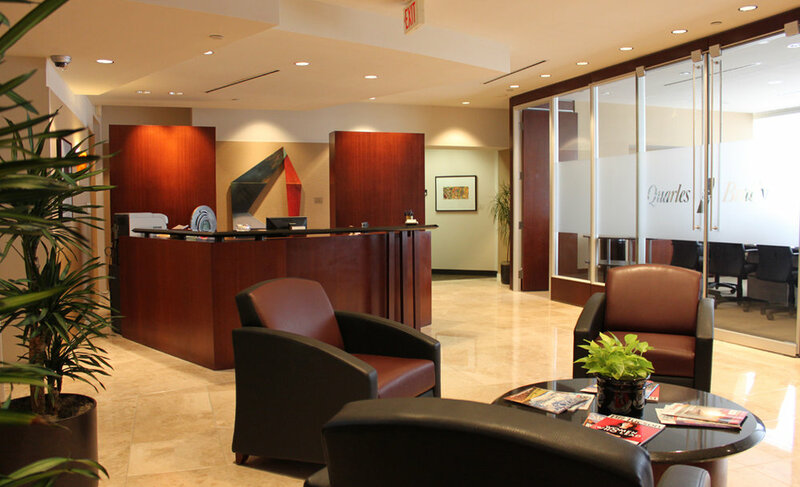 We were hired by Fennemore Craig to do extensive tenant improvements for their 10,000 square foot downtown office. 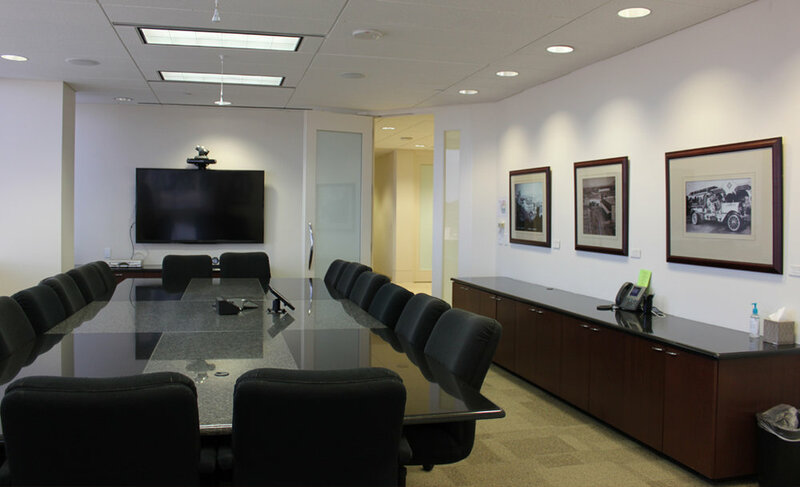 We were proud to assist on the planning and construction of the interior remodel of Quarles & Brady’s 15,000 square foot highrise office. Another highrise tenant improvement. We were selected by Snell & Willmer for the interior remodel of their 30,000 square foot office downtown. 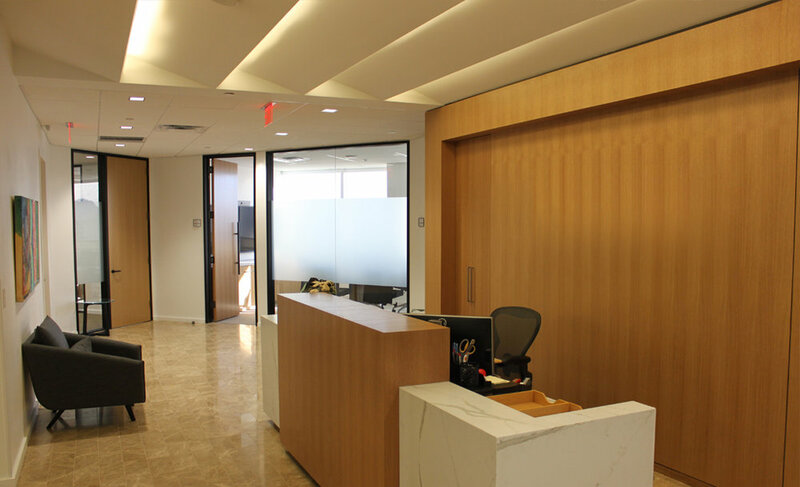 Our experience in highrise tenant improvements was a key factor in our being selected to complete the 10,080 square foot interior remodel of the Lewis Roca offices in downtown Tucson.